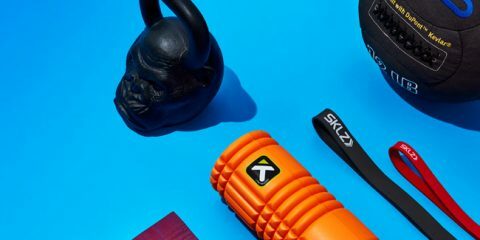 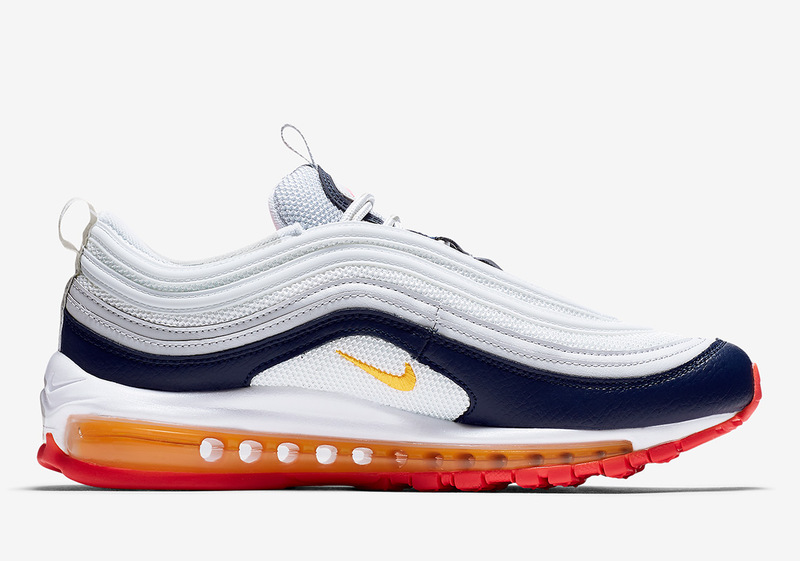 In Nike’s illustrious pantheon of sportswear selections, the Air Max 97 tends to stand out a bit more than its competition. 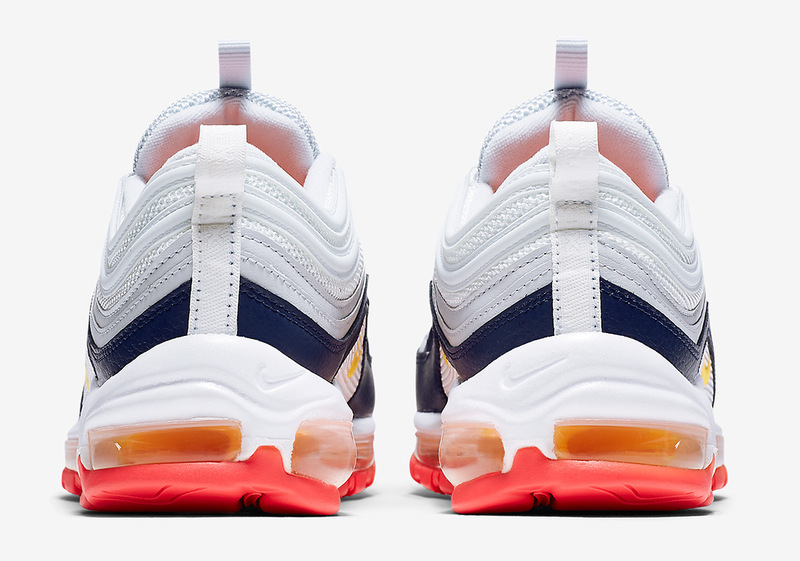 Since it celebrated its 20th anniversary in 2017, the Christian Tresser-designed Air Max marvel has continued carving out a name for itself as one of the most popular GR sneakers on the market. 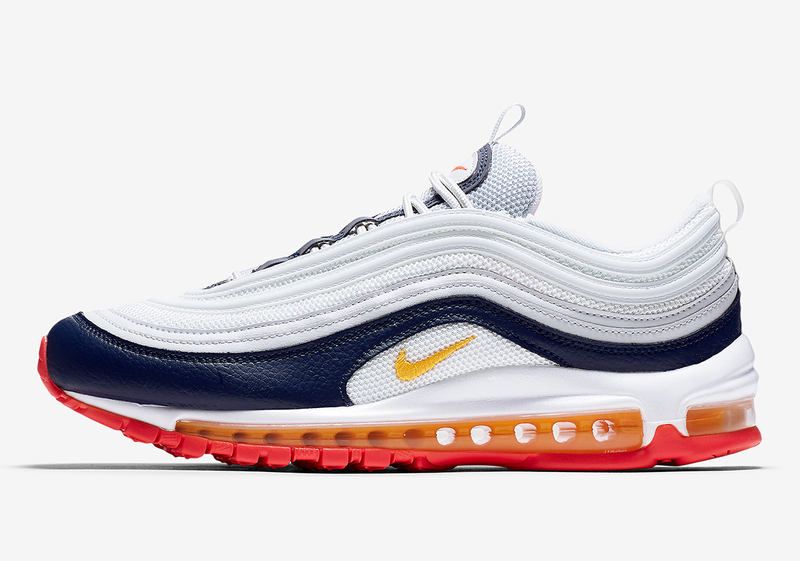 Next up for the ladies is an attractive combination of Midnight Navy, Racer Pink, and Laser Orange with help from Summit White on its midfoot for contrast, flipping the script a bit on this model’s usual color blocking. 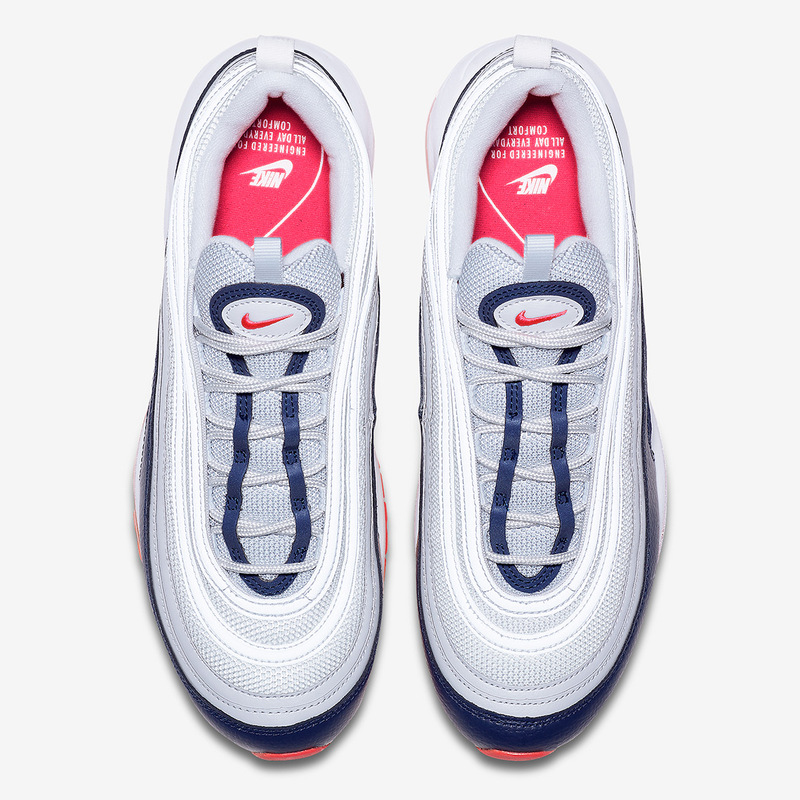 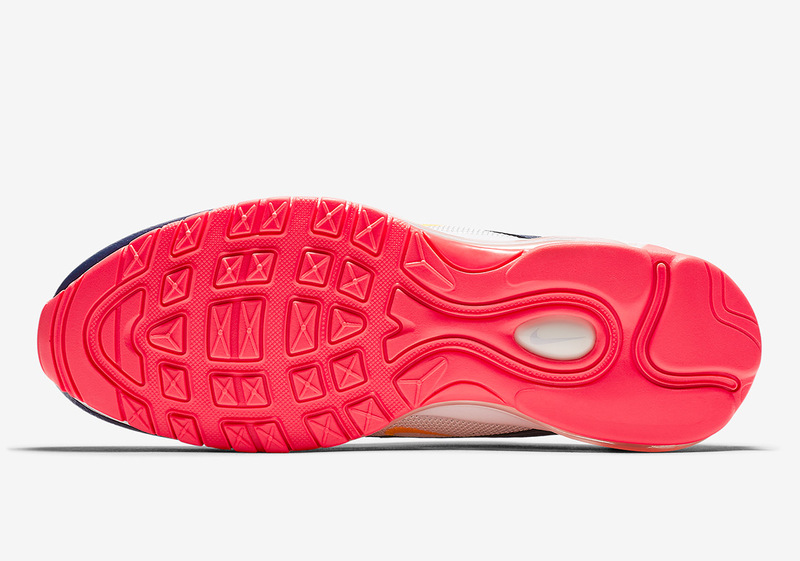 Starting from the bottom, this 97 begins with its brightest color on its outsole, while making its way up to a dark blue mudguard aided by matching throat elements. 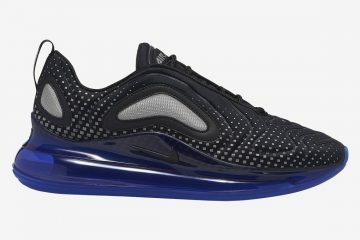 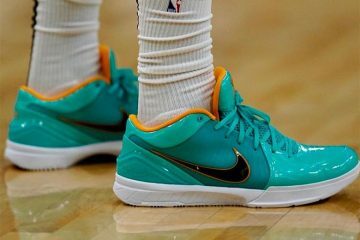 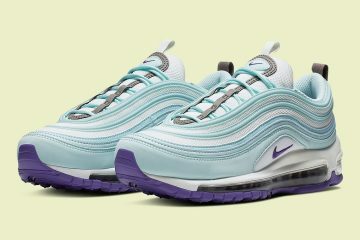 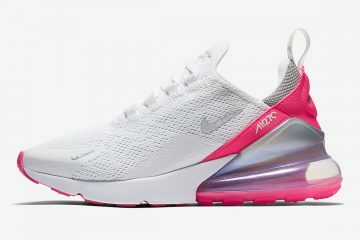 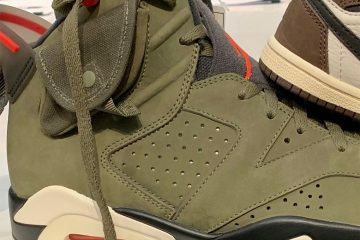 Female sneaker enthusiasts can enjoy an official look below and mark their calendars for its March 1st release date on Nike.com and at other NSW stockists.